For those who suffer with fibromyalgia, they often think of all the pain that they are in. They seldom think about how this disease could be attributing to other issues that they may have going on in their bodies. However, more and more research is being done to fully understand fibromyalgia. And this research is showing that fibromyalgia may be the building block for several other illnesses and diseases that affect the body. One such connection that many people are worrying about is kidney disease. Is there a connection between fibromyalgia and kidney disease? The key to seeing if there is a connection between these two issues is to look at what each one does to the body independently, then try to find where they are connected. Firstly, you must understand what fibromyalgia is and how this affects the body. This is a chronic pain syndrome that there is no cure for. There will be times in which a person may feel fine, and in the snap of a finger, they can take a turn for the worse. For those who do have fibromyalgia they often have intense pain throughout their body that makes it hard to function on a daily basis like normal people do. They may have to avoid contact with certain areas of their bodies, especially those that are around those tender points. They may find that due to the constant pain they feel, they simply have no energy and want to sleep all day. It is not uncommon for people to feel as though their entire lives are being uprooted when they are diagnosed with this illness and are having to live with it. Kidney disease is when the kidneys are damaged and they are not filtering the blood as they should. Perfectly healthy kidneys are going to filter the blood of water and wastes, then wash these out of the body through the urine. However, when the kidneys stop doing this job, then is when the person runs into problems. IN most cases, the person is not told they have kidney disease until they have this issue for a long period of time, usually longer than three months at a time. Kidney disease is not something that gets better. Most people find that it gets worse with age, and due to the kidneys not functioning right, they often have other issues that go along with this. Kidney disease is something that really has no signs of symptoms in its early stage. Most people don’t think anything is wrong until they start having issues. Often by then, it is too late to really do anything other than slow down the progression of the disease and hope for the best. Is Fibromyalgia Connected to Kidney Disease? 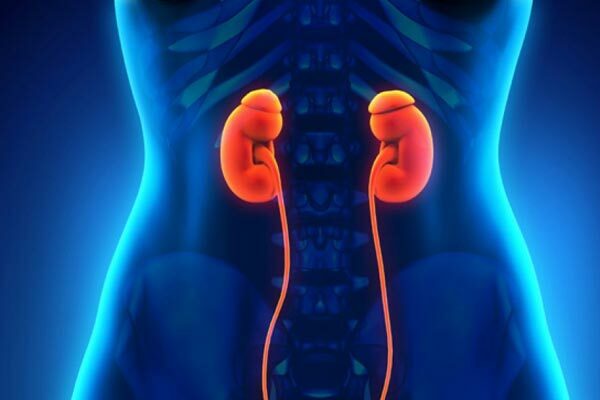 While there is no direct connection that shows fibromyalgia definitely causes kidney disease, there is evidence that fibromyalgia could lead to kidney disease in many people. Why is this? While fibromyalgia is not considered an autoimmune disease, it can lead to this later in life. Many people who are diagnosed with fibromyalgia are then later diagnosed with autoimmune diseases like lupus, or even rheumatoid arthritis. And one of the leading cases of kidney disease is having one of these autoimmune diseases. 2- Many medications taken in hopes of helping fibromyalgia could cause damage. One of the leading causes of kidney damage with medications are those medications that are taken for pain. Many people who have fibromyalgia are given low dose pain pills to help them have a normal life. While some people may simply take an over the counter pain medication, having to take these day in and day out can lead to kidney damage later in life. In addition, many of the nerve medications and other medications that are given to fibromyalgia have been shown to cause problems to the kidney’s later in life. 3- It is not uncommon for blood pressure to be an issue for fibromyalgia patients. Why is this? For one, many people naturally have a higher blood pressure when they are experiencing the level of pain that many fibromyalgia patients have. They hurt everywhere, thus the pain that is constantly flooding your system is naturally going to cause more stress. Those who have higher stress levels are those who are more likely to have blood pressure increases as well. While fibromyalgia may not be a direct cause of kidney disease, there is evidence that would support the theory that fibromyalgia patients would be more likely to develop kidney disease versus someone who does not have this illness. Therefore, many people work with their doctor to avoid other complications from having fibromyalgia. They tend to reach for more natural and holistic approaches to helping their fibromyalgia such as exercise or warm baths. However, when the pain becomes too much, many doctors are prescribing various medications to help a person get their life back to normal. For those who do suffer with fibromyalgia, it is important that they watch out for early signs of kidney disease. Though these early signs are often not seen. However, urinalysis and blood tests at every appointment can give a clear warning if there are things not right with the kidneys. This can help you to slow the progression of this disease down dramatically. I only have one kidney – i lost the other one around 30 years ago due to doctors neglect – he kept me on antibiotics for ten years until i went private as the company i worked for had me in a private health scheme. When i saw the consultant after having CT scans – i was straight in to hospital as i was told my kidney had been dead inside me for approximately four and a half years – and i now have ckd – pernicious anemia and B12 and vitamin D deficiency – fibromyalgia – osteoarthritis – adrenal fatigue – thyroid problems – diverticulitis – my legs are swollen with oedema as is my stomach – i am in agony and my doctor will not do anything about it – i cannot even get an appointment – so it was with great interest i read this article of anemia and kidney correlation. So sorry to hear about your struggle. You need a better doctor.